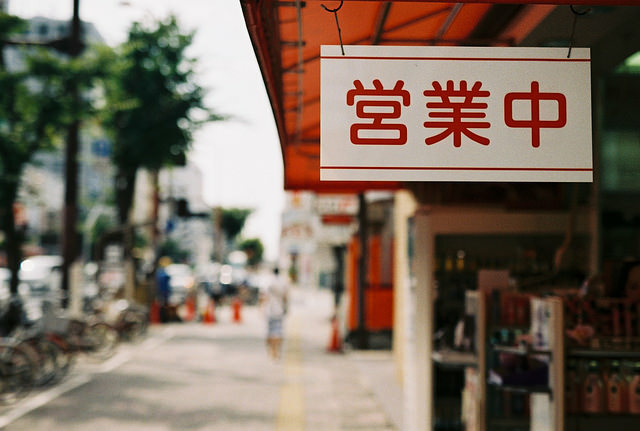 営業中(We’re Open) by Halfrain, licensed BY-SA 2.0, available on Flickr. This is the first in a series of six Medium articles connected to the research underway by Creative Commons for its Kickstarter-funded book about open business models to be published in July 2016. With this work, we’re exploring how creators, businesses, and nonprofits sustain themselves when they are giving their work away for free using CC licensing. Our goal is to help others find ways to build viable models around open content. Before we do anything else, let’s start with definitions. Of course, creators are those who make their own content, but for our purposes this category also includes any content publisher that owns the rights to the bulk of the content it puts out in the world, even if they weren’t the true creator. Think record labels, magazines, or film production companies. On the flip side, platforms are the intermediaries who gather, filter, and publish the content the rest of us create. Platforms are essentially a product of the internet. There have always been intermediaries filtering content to the world, but never before was it possible to play that role in such a hands-off way. Platforms are the biggest source of openly-licensed content in the world. Platforms like Wikipedia and Flickr enable their users to generate content under CC licenses, contributing a huge body of work to the CC-licensed commons. Building blocks by André Hofmeister, licensed CC BY-SA 2.0, available on Flickr. Platforms and creators aren’t mutually exclusive categories, but they are co-dependent. Creators publish their work on platforms. In fact, platforms couldn’t exist without creators, and creators would have a much more difficult time reaching audiences without using platforms. Some platforms also have characteristics of creators (e.g., curation or editing). In that sense, there is a bit of a spectrum, with those falling squarely in-between sometimes referred to as “platishers“ — a word I hope to never again utter or write. In other words, these categories are fairly loose and bleed into each other. Nonetheless, they are important because they are building blocks for the ecosystem of content creation and distribution online. Creators and platforms: why differentiate? It’s probably important to emphasize here that we are specifically looking at creators and platforms that make at least some of their content freely available to the world for reuse. Facebook content might be free, but it’s not available for reuse elsewhere on the web, at least not in ways consistent with copyright law. This is the difference between free and open. With that in mind, it’s relatively easy to see why open business models for creators and platforms seem fundamentally different. Obviously, using openly-licensed content created by others and building a business around it sounds intuitively easier than building a business around your own open content. Content creation is time-consuming and expensive. Platforms are able to take advantage of content for which others bear that burden in time and energy. That’s an incredible competitive advantage. Platforms also have the benefit of having a model that is built more around abundance (as opposed to scarcity) by default. Unlike content creators who are focused on a particular body of work, platforms are peddling content from multiple creators, often of varying type, quality, and source. Again, when it comes to open business models, not trying to derive value from a single source of content feels like an advantage. It opens you up to focus less on restricting access to a particular body of work, which is an essential component of business models built around CC licensing. For these reasons and more, the advice for those building business models as platforms typically varies widely from that given to those who are trying to find sustainable ways to function as creators. The book we are writing about open business models is designed to appeal to both creators and platforms, but we have fully intended this to be one of our biggest challenges. How do we come up with something that will speak to both audiences? But as we detail below, so far we’ve been surprised to find there are so many commonalities in the incentives, motivations, and interests of platforms and creators. At the most basic level, creators and platforms with open business models both face the same fundamental task of finding a way to generate revenue when giving away output in the form of openly-licensed content. By definition, in an open business model, providing access to the content cannot be a revenue stream, at least not without some additional value. Put another way, providing access to content (even very high-quality content) is simply not enough of a value proposition to support a sustainable business in today’s environment. While there remain exceptions, I think this is generally true for any business model built around content distribution, even if it is all rights reserved. It is increasingly difficult to get people to pay for digital content. The reason for this is simple. The internet gives us a seemingly infinite supply of cat videos and silly GIFs, but it also gives us a seemingly infinite supply of quality content. If you’re paying attention, there is simply more good content out there than a single person could ever possibly consume. If there is an obscure interest you have, there are entire blogs dedicated to it. If you want to learn everything you can about a particular subject, there is a firehose of content about it available online. If you want to build a business by simply being a source of high-quality content and nothing more, you have to rely on people not looking for or finding the rest of the good content out there. Long story short, relying upon a value proposition of providing quality content, without more, is risky business. Sure, your particular content might be unique, but at a high-level, you are peddling an infinitely abundant product, and it’s available for free everywhere on the Web. This goes for digital content of all types — writing, art, photography, music, news. This is very different from business models built around things in the physical world. In that domain, simply facilitating discovery and access can provide enough value to sustain a business. It’s much easier to find good creative content online that it is to find a suitable apartment to stay in when you visit Tokyo. This is, of course, the business model of Airbnb, and the same goes for offline items generally. Serving as the connector between those wishing to find “stuff” (a technical term) and those wishing to give access to it is a valuable service on its own. And it’s easy to monetize that service because tangible stuff can’t be used by more than one person at a time the way digital content can be. Ultimately, it all comes down to the value you provide. Serving as a global connector to things in the physical world is a valuable service, whether it is for vacation rentals, dates, or car rides. Online search engines serve this function in the digital world and monetize it effectively. (Or at least one search engine does!) They make a very difficult task (knowing how to find things on the World Wide Web) simple. In fact, they do it so well that it is incredibly easy to sustain a daily diet of creative content online from a wide variety of sources. Picking and choosing content from different content creators certainly provides more perspectives and typically provides more value than consuming content from a single creator or even a single platform. Plus, we’re all used to having this kind of choice with our media consumption now. Rather than consuming news from a single news outlet or listening to the same podcast every week, we find articles and episodes a la carte. For creators, this means we might appreciate having your steady supply of high-quality content to pick from, but that alone will rarely be enough to find and sustain a loyal following in today’s hyper-competitive media environment. While platforms can slightly alleviate this problem by providing content from multiple sources, they will never be able to replace the full diversity of the Web. In other words, the service they provide in terms of discovery and access is not particularly valuable. Just like creators, they need to find other ways to provide value beyond simply connecting users to high-quality content. Identifying the real value you can or do provide is the critical step to finding a successful open business model. This requires honestly valuing the content you provide — which, no matter who you are, is nearly always lower than you think it is given the abundance of available content online. For platforms, this step is more obvious since platforms aren’t creating the content in the first place. For creators, it is less intuitive, probably more painful, but just as important. This essential common goal — identifying and providing real value with what you do — is where the interests of creators and platforms truly align in significant ways. So how do you find other ways to provide value? The rest of this article will explore four ways that creators and platforms can expand the value proposition underlying what they do. Although this work is ostensibly about business models, we won’t be addressing revenue generation in this piece. Modes of revenue generation can’t emerge until the step of defining and enhancing your value proposition is complete. Let’s get started. #1 Build a community around your content. Walk the Talk Community Celebration by Laura Hannant, licensed BY 2.0, available on Flickr. You hear a lot about community in nearly everything in the so-called sharing economy, but I’m not convinced community is a key factor for companies that are simply facilitating a transaction in the physical world. In that context, as explained above, the user is actually deriving significant value from the simple fact that the platform enabled them to find the apartment rental/car ride/used clothes. I’m sure people have developed relationships with their Uber drivers, but I’m willing to bet that’s not the norm. Nor is it a fundamental part of the business model. By contrast, community is critically important for business models built on open digital content. Again, it goes back to where the value lives. Enabling someone to find the digital content on your platform just isn’t a particularly valuable service, no matter how high-quality your content is. This is especially true for open digital content, which can legally find its way around the Web and therefore be discovered in ways you don’t facilitate. You need something else to give people a reason to stick around. Relationships can be that glue. This can take on many different forms. For creators, it is important to foster relationships between those in your audience and between you and your audience. To develop a relationship with your audience, you need to function less as someone behind a microphone and more as a peer. Avoid sharing only final, polished work product, and work to have a conversation with your audience. Interact with people, listen to their ideas, share out the good ones. It is not enough to only share out; you need to take in as well. This is basic human behavior 101 — we don’t tend to like people who only talk about themselves or don’t listen to others. But somehow, we tend to forget that when we think about building an audience for our work. Perhaps we think we need to cultivate the air of celebrity, but really, we need to do everything we can to remain human. This builds goodwill and fosters a personal relationship between you and those who follow your work. Just like in real life, that kind of relationship breeds loyalty online. No artist embodies this better than Amanda Palmer, whose prolific and interactive online presence makes her followers feel connected and heard. For creators and platforms, it’s also important to cultivate relationships among those in your audience or user base. Platforms tend to recognize this and often build a so-called “social layer” into the user experience. It might be less intuitive for creators, but just as valuable. The goal for both creators and platforms is to build a community around your content. To do that, we have to foster a sense of belonging. As Jono Bacon wrote in The Art of Community, “If there is no belonging, there is no community.” A full discussion of how to build community is outside the scope of this article, but it comes down to fostering positive interactions between you and your community and between community members. Bacon writes that positive interactions have ripple effects on the community as a whole. “It all sounds a lot like karma, and it is,” he writes. Unlike good digital content, communities aren’t replaceable. There may be a million online communities, but once you belong to one, you can’t derive the same value by visiting another. They are the glue that attaches us to particular creators and platforms. #2 Determine how you fit within the larger internet ecosystem and cultivate those connections. Connections by fla m, licensed BY 2.0, available on Flickr. While community building can help make your endeavor “sticky,” you should resist the urge to create a silo. Those engaged in open business models tend to have less focus on keeping people’s eyes on their own work or on their own platform, but the temptation to try to keep people in can linger. Resist this urge. For one thing, it’s impossible. Facebook might be trying to coopt the Web, but even they are [so far] unable to keep most people solely on their platform. Most creators and platforms aren’t Facebook (thank goodness!). More importantly, this type of monopolistic behavior is the antithesis of open. Open is about breaking down walls, sharing widely, and across platforms. Even from a purely selfish perspective, it is smart to acknowledge the rest of the Web and think about how your work and community sits within it. As a creator or a platform, you should be seeking out ways to create connections with other creators and platforms. Collaboration tends to come more naturally to creators. Think about collaborative projects between musicians from different genres like this one between Justin Bieber, Diplo and Skrillex. They help creators reach new audiences. This same concept translates to platforms. Fostering cross-platform collaborations, like this one between Vimeo and Free Music Archive, can bridge the user base from one platform to another. If you pretend the rest of the Web doesn’t exist, you become less relevant to the public conversation. Going back to the basic tenets of human behavior discussed above, that type of myopic view of the world is counterproductive. #3 Empower your community to create. Go On Creating by fotologic, licensed BY 2.0, available on Flickr. Clay Shirky has written about how the act of personally creating something can be more meaningful than consuming something made by others, even if the work of others is higher quality. This concept certainly resonates with me personally. When I take the time to sort through my own thoughts and write them down, I find I am exponentially more likely to soak in the ideas than I would if I consumed them elsewhere. The same goes for creative pursuits. My personal blogging is surely of lower literary quality than countless professional essayists, but the act of creating carries more meaning for me personally. Platforms are built upon recognition of this principle. By definition, platform users are creators rather than (or in addition to) being consumers. This level of engagement is much more “sticky” than mere consumption. This same idea is important for creators to remember, too. How do you give your followers a chance to themselves be creators? Creators should find ways to tap into this — incubate early ideas and ask for feedback, give people opportunities to participate in your creative process, encourage them to remix your work and make it better. Any method of stoking participation and creativity by your audience or user base will increase the level of engagement so long as you do it in a meaningful way rather than going through the motions. It’s not enough to simply enable creation, but you should also watch and listen to what results from it. In short, you should value it. If and when the audience or users create great content, you must not appear to take advantage of it. If a revenue opportunity appears, give creators their due. Platforms are often remiss about this, and it does a terrible disservice to the creators and the platform itself because it erases trust. Platforms and creators — or creators and their contributing audience members — must be on the same team if there is to be any semblance of a viable community around what you do. #4 Embrace the social purpose behind what you do. Purpose by Seth Sawyers, licensed BY 2.0, available on Flickr. If you are sharing open content with the world, you probably have a social mission or you wouldn’t be doing it. It’s important to emphasize rather than shy away from that underlying mission. Knowing that what you are doing is about more than simply maximizing profit builds goodwill with the public, no matter whether you are an individual creator or a large platform. Of course, platforms would do well to listen to their communities as well. Platforms may also have a larger vision motivating their decision to open their content, and it’s important to emphasize that vision. It gives your community a shared purpose, and frankly makes the entire endeavor more meaningful. The Wikimedia Foundation is a good example of a platform with a meaningful and very visible purpose that binds their global community together. Because creating content requires such an investment of energy and even a little piece of our souls, we tend to overvalue it. Creative content can stir you, it can bring meaning to your life, it can give you solace. But at the end of the day, any particular piece of content is replaceable for nearly everyone except the creator. For every genius piece of work we consume, there is another. This difficult truth should inform the way we structure business models around open content. There has to be more to the puzzle than good quality content. Those other pieces of the puzzle should be motivated by what we all know to be true about human behavior. Ultimately, it comes down to common sense. Rather than rewriting the rules of conduct when we think about how we function in the marketplace, we would do well to resort to the tried-and-true principles about what it means to be a good and likable human being, how we make and sustain human connections, and how we give our lives meaning. Once we apply those rules to the way we operate in the market, we’ll start to see where and how we can provide real value. Sarah Hinchliff Pearson is a lawyer at Creative Commons. This piece written for Medium.com.